You are viewing all posts published for the month of September, 2017. If you still can't find what you are looking for, try searching using the form at the right upper corner of the page. How launching alongside a fellow a creator helped make Kickstarter easier to manage for two first-time creators. How John got over his challenge of creating a Kickstarter video. An awesome Kickstarter page power-up tip that more comic creators should be using from Ryan. Plus: This week only… The ComixLaunch Course is open for enrollment! Ryan is a comic writer and artist, as well as an alum from the Comics Experience School and The ComixLaunch Course. When not drawing or doing anything comic related, he’s an accomplished martial arts instructor. John is an illustrator, painter and the creator of the all-ages comic Rancidville, available at rancidville.com. A proud husband, father and grandfather, John’s worked as a political cartoonist, graphic designer, and printer, and is happy to now be following his lifelong dream to make comic books. It’s time for today’s ComixLauncher. A ComixLauncher is a short, actionable activity you can do immediately after listening to the show. They’re all activities I’ve done myself, and will get you one step closer to a successful ComixLaunch. They’ll transform this Podcast from a passive, lean back activity centered around Tyler James, into an active, lean-forward activity centered around YOU and your projects. Who could be your Launch Buddy? 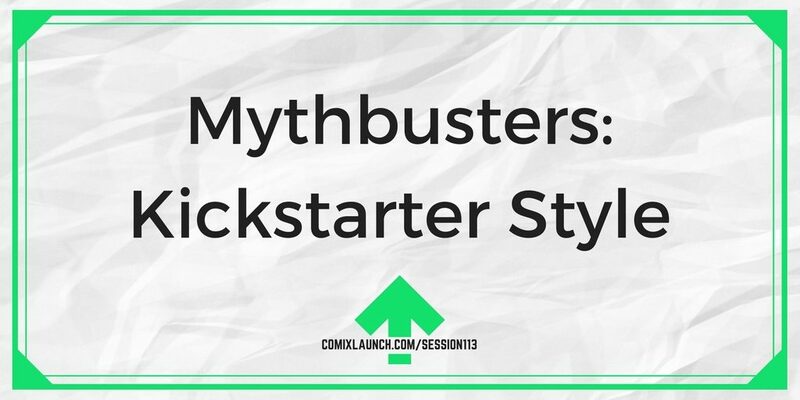 In this session, Tyler crushes three persistent myths about crowdfunding on Kickstarter that will derail your launch. Plus, go behind the scenes on ComixTribe’s biggest one-day comic book sales on their online store…EVER! Inside ComixTribe’s insane direct market launch week for SINK #1. 3 myths that once crushed will take your crowdfunding efforts to new heights. One word to NEVER say when launching a Kickstarter. Are you a writer, artist or publisher who could use some help launching a Kickstarter? Up for a challenge that will make your first or next campaign your best launch ever? The live challenge runs from Sep 18- Sep 22, 2017 and features daily lessons and actionable challenges designed to level up your Kickstarter project so you can fund your dream project. Plan your next campaign, network with fellow creators, and get your Kickstarter questions answered! 5 Day Kickstarter Challenge, Inktober, 30 characters Challenge… what’s something you’re passionate about that you could someday build a challenge around? Ever had an idea for an anthology project? 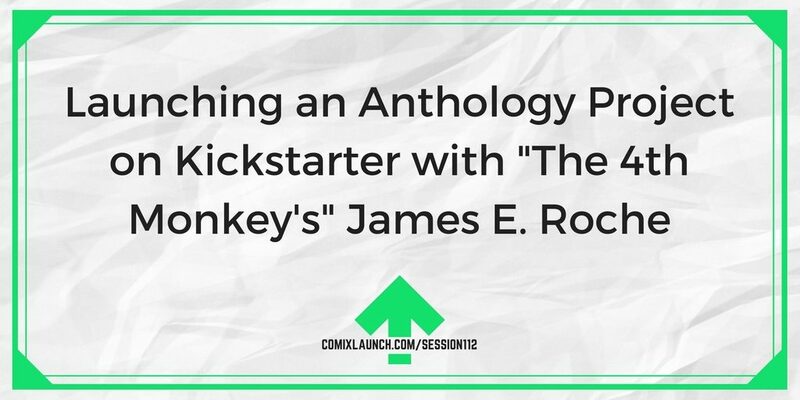 In this session, Tyler sits down with writer James E. Roche as he’s about to launch his first anthology project on Kickstarter, raise awareness for social issues. How to bring your idea for an anthology project to life and recruit creators to make it happen? The challenges of organizing and launching an anthology project on Kickstarter. How to make comics about causes and issues you’re passionate about. Plus: A special invitation to the ComixLaunch Workshop! New Live WorkShop – 7 Keys to Your Best Launch Ever! Want to know what’s working on Kickstarter? 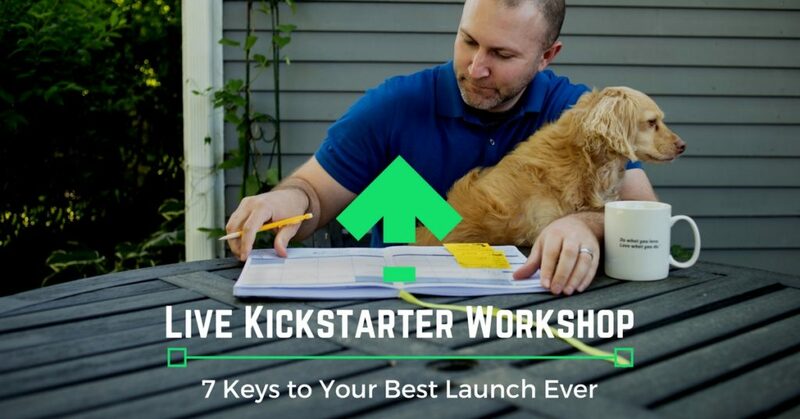 Then sign-up for my live workshop “7 Keys to Your Best Kickstarter Launch Ever” featuring new tools & tactics for 2017! 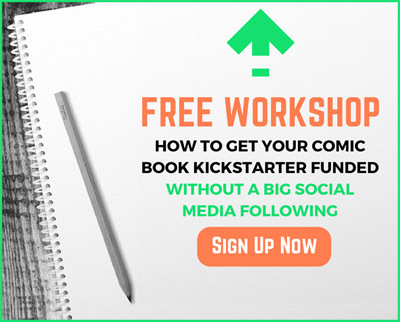 In this training, you will learn seven proven steps to making your first or next Kickstarter launch a hit, as well as what’s new on the Kickstarter platform in 2017 that creators need to be aware of.  7 keys to running a successful Kickstarter campaign from start to funded.  Hard won insight from analyzing hundreds of successful campaigns.  Valuable resources that will save you time and money on your next Kickstarter campaign.  Plus awesome crowdfunding bonuses for live attendees! 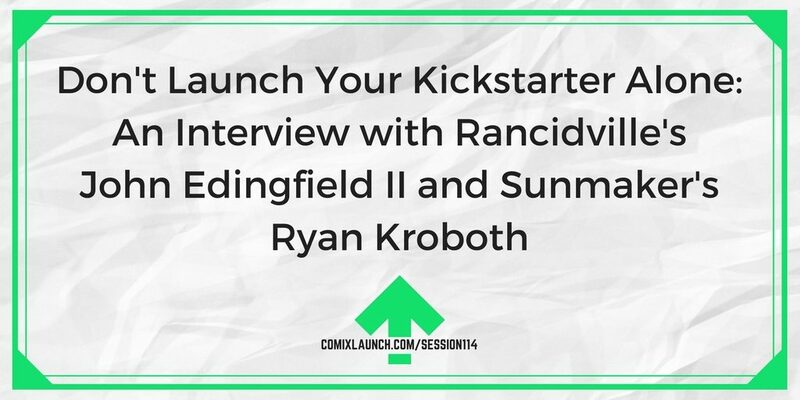 After the presentation, I’ll stick around for a live Q&A session to answer all of your outstanding Kickstarter questions and get you ready for your next launch! Spots are limited to just 100 attendees per session. If you’re getting ready to launch, this is the workshop for you! Hope to see you there and can’t wait to see what you launch next! My guest today is a New Jersey-based Comic book writer. He’s successfully Kickstarted a sci-fi series called wretches and is a WRETCHES and has contributed to the Alterna comics IF anthology. He’s currently organizing and about to Kickstart The 4th Monkey, a comic book anthology featuring stories to raise awareness about environmental and social issues. Get your free Club ComixLaunch VIP Insider bonus Kickstarter resource at ComixLaunch.com/club. 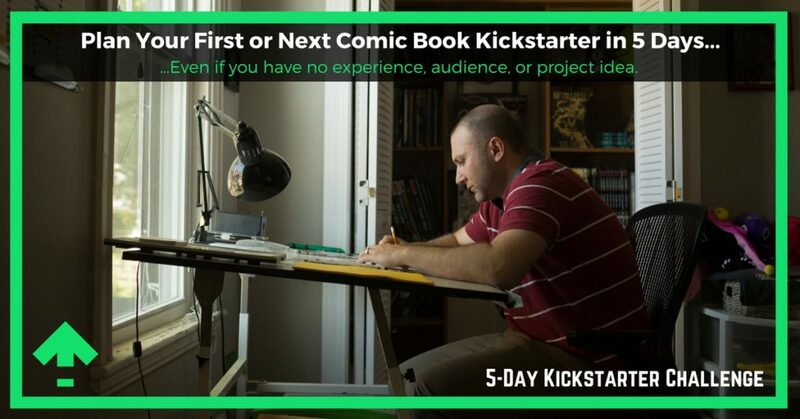 ComixLaunch listeners, are you ready to take your crowdfunding game to the next level? If so, I’d love for you to join me and your fellow creators inside Club ComixLaunch on Patreon. I’ve opened Club ComixLaunch to help continue and expand on the ComixLaunch mission of increasing the number of creators equipped to harness the power of the Kickstarter platform to bring amazing independent projects to life. A shout out on the ComixLaunch Podcast for you and your project. Access to the ComixLaunch Club exclusive Patreon feed for even more mindset, strategies and tactics to get your project funded. The ComixLaunch Club Insider Monthly Kickstarter Resource which might be a guide, checklist, cheat sheet, template, or bonus training video designed to help you launch. You can even sponsor an episode of the ComixLaunch podcast through Patreon. Bonus Sessions of the ComixLaunch Podcast. Full podcast transcripts for every episode. For as little as a dollar a month, you can access Club ComixLaunch today, help keep the podcast going and improving, and take your crowdfunding game to the next level. Membership has its privileges, and to get a taste of them absolutely free, please go to ComixLaunch.com/club and download a free Club ComixLaunch VIP Insider bonus resources today. Let’s get you ready for your best launch yet! I’ll see you inside the Club! What’s a social issue or cause you believe in that could inspire a story or piece of work? 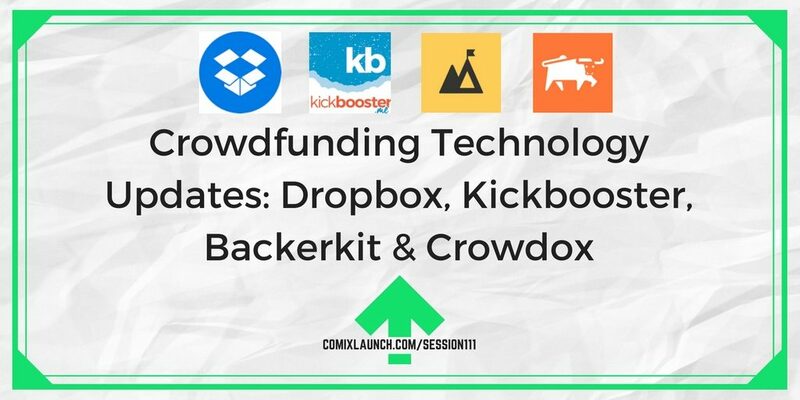 Get in the know about some of the latest software updates relevant to crowdfunders, including recent developments at Dropbox, Kickbooster, Backerkit and Crowdox. Changes at Kickbooster that add power and a monthly recurring fee to that crowdfunding affiliate management tool. What’s new at Backerkit and when survey management and add-on support tools make sense for Kickstarter creators. Plus: An early report on my experience with CrowdOx, a lower-cost alternative to BackerKit. This session’s featured resource is Bluehost. Go to ComixLaunch.com/bluehost for a special discount on domain registration and website hosting. We have a date for the next ComixLaunch 5 Day Kickstarter Challenge! The new free challenge begins September 18! Let me ask you a question… are you master of your own domain? No, this isn’t a dated Seinfeld reference… I’m talking about your web domain. And Bluehost is an all in one web hosting solution that will help you master your domain. I own the domains for ComixTribe.com, ComixLaunch.com and many more… but I know many of you are trying to save a few pennies a day by NOT paying for domains you’re trying to build brands around. When you own the dot com for your brand, it’ll help you protect it. If you’re building your empire on someone else land, your comic @facebook or @tumblr or remember @myspace God forbid… you don’t control those platforms. You can use the ComixLaunch affiliate link to get a special introductory offer and 30-day money back guarantee at Bluehost by going to Comixlaunch.com/bluehost today. Bluehost powers more than 2 million websites world wide and makes it super simple to get a wordpress hosted website up in just one click. Master Your Domain, go to ComixLaunch.com/bluehost and lock it in today. What one new tool will you invest in to help you crush the last third of 2017? Protip: Every successful KS… invest in one new tool. Want to Get READY FOR LAUNCH?